Showing recent results 856 - 870 of 4500 products found. 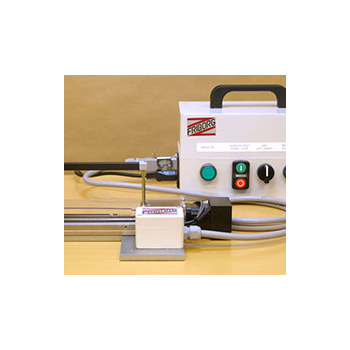 Scratch Tester makes scratches on material surface of refrigerators etc. 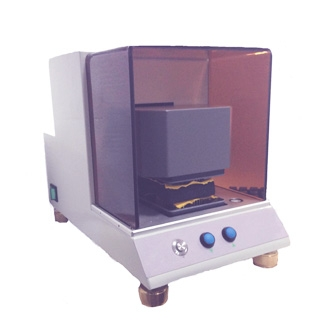 DRK107A - Shandong Drick Instruments Co., Ltd.
DRK107A Paper Thickness Tester is professionally applied to testing the thickness of paper specimens. 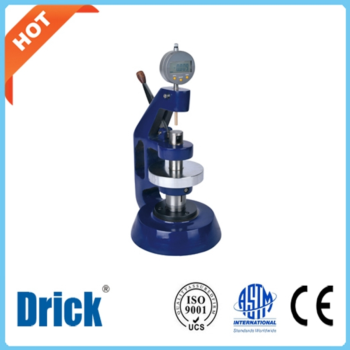 DRK107B - Shandong Drick Instruments Co., Ltd.
DRK107B Paper Thickness Tester is applied to testing the thickness of paper specimens. 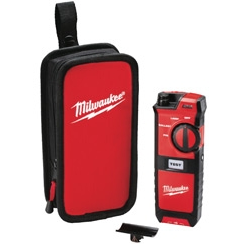 The Milwaukee 2210-20 Fluorescent Lighting Tester is a new to world tool that tests fluorescent lighting fixtures and cuts troubleshooting time in half. 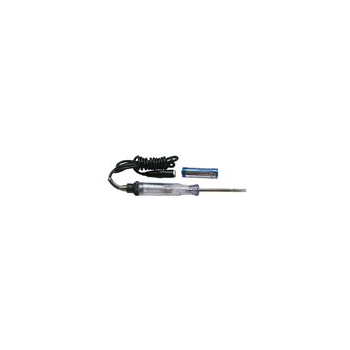 The Fluorescent Lighting Tester delivers complete Lamp, Ballast and Pin testing. Test Lamps before or after installing, and test without dismantling the fixtures.Recognized for its innovation, the 2210-20 Fluorescent Lighting Tester will dramatically improve the productivity of professional electricians and maintenance technicians. Instead of a “replace and hope” strategy, users can test their lighting fixtures faster and easier. The 2210-20 Fluorescent Lighting Tester solves a top residential, commercial and industrial application. 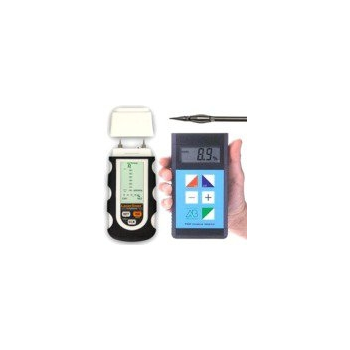 TE6-0706 - Hangzhou Tonny Electric & Tools Co., Ltd.
TE6-0705 - Hangzhou Tonny Electric & Tools Co., Ltd.
TE6-0707 - Hangzhou Tonny Electric & Tools Co., Ltd.
Moisture management tester (MMT) is the tool for the measurement, evaluation and classification of liquid moisture management properties of textile fabrics. By testing the changes in electrical resistance of textiles placed between two horizontal electrical sensors with concentric pins, the tester can calculate fabric liquid moisture content changes that quantify dynamic liquid moisture transport behaviors in multiple directions of the specimen. The software of tester can grade the liquid moisture management properties of a fabric by using the predetermined indices. The tester is used to determine the liquid moisture management properties of knitted, woven and nonwoven textiles, and also can be used to test the one-way transport capability of diapers. 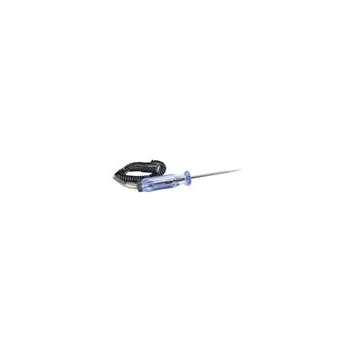 TE6-0713 - Hangzhou Tonny Electric & Tools Co., Ltd.
Plug these testers into any car connector and you will have an instant test of running light circuits. Features LED display to show completed circuit for the running lights left turn signal and right turn signal. 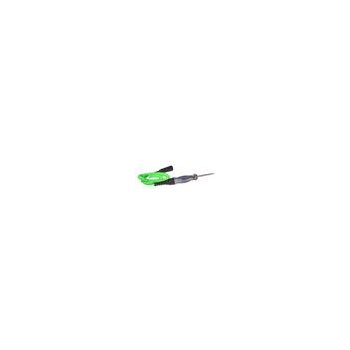 Auxiliary and electric brake circuit are included on the 6-way tester and auxiliary, electric brake and battery charge are included with the 7-way tester. One piece units with internal ground. 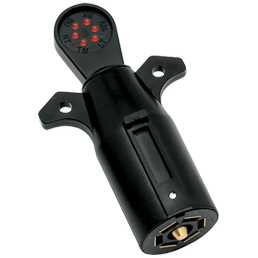 Proper installation and set-up of a brake control, when a trailer is not readily available, is possible with the 7-way tester. Current Monitor testing device is designed to assist in determining whether a tow vehicle's 7-way blade car end connector has been wired properly. (Current Monitor is an excellent diagnostic tool for installation, setup and troubleshooting of electric trailer brake controls.) 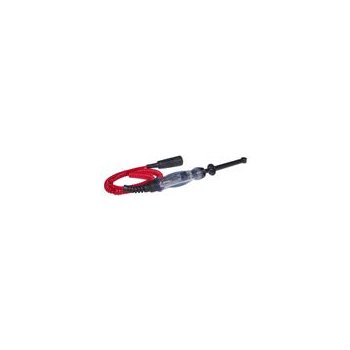 The Trailer Tester is designed to help you quickly identify problems in the wiring of the trailer. This is done by testing the Left Turn, Right Turn, Tail/Marker, Brake and Back Up circuits on the trailer. The tester indicates approximate amount of current in each circuit (i.e. trailer battery). 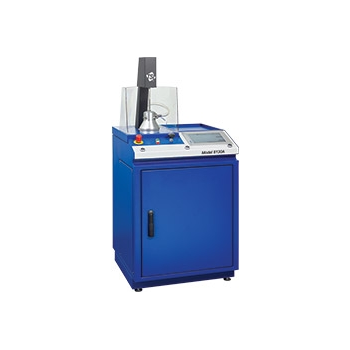 Brake Control Bench Tester is a test device designed to determine if a brake control is working properly. Checks brake control output, independent of vehicle wiring. 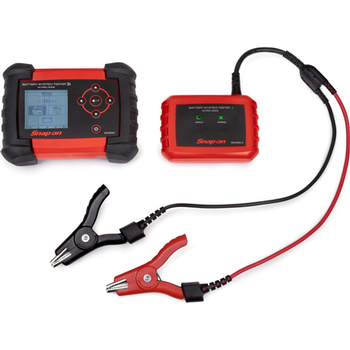 Simulates many fault conditions including open ground, short circuit, open load and more. The Automated Filter Tester Model 8130A continues to be the best solution for testing particulate respirator filters, disposable filtering face pieces, and a wide assortment of filter media. The TSI filter testers have been used in quality control and manufacturing by leading filter and filter media manufacturers and test centers around the world for more than 20 years. Based on TSI's established model 8130, the world's most-used filter tester, model 8130A now offers higher sensitivity and resolution - up to 99.9999 percent efficiency - at a lower cost of ownership due to the new serviceable photometers inside. The model 8130A features a high degree of automation and self-diagnostics that greatly simplifies operation, increases throughput, and improves overall measurement performance. Whether looking for a stand-alone tester to check a few filters per day or need to integrate a tester in an automated, high-volume production line, the model 8130A is up to the challenge. At PCE Instruments you will find diverse moisture testers for wood to determine absolute moisture in different wood types. With the help of the moisture testers for wood you will be able to measure with high accuracy moisture in rolled products, forestry woodVery accurate and easy to use Moisture Testers for Wood for professionals, slats, beams, plywood, panels, conglomerates, main beams, window frames, etc. There are two ways of measuring moisture: with or without damaging the material. Moisture testers for wood are characteristic by the measuring principle and the moisture sensors that can be adapted to them. Some moisture testers for wood have special characteristics such as an automatic compensation of temperature. Besides, data can be stored and transferred to a PC or portable computer or characteristic curves can be programmed for specific wood types (only with the model FMD). Buehler, an ITW Company, is introducing the Wilson VH1102 and VH1202 micro hardness testers. 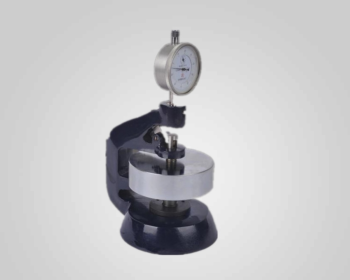 These Wilson hardness testers meet the highest accuracy standards and can be used both in quality control and research and development. The instruments feature deadweight loads from 10 g up to 2 kg and nine different, automatically selectable loading stages. 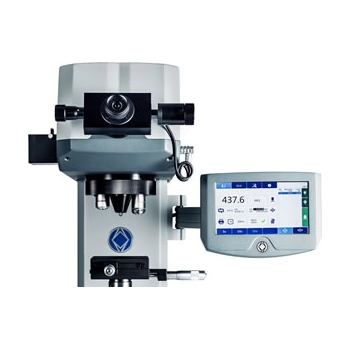 The new Wilson VH1102 and VH1202 universal hardness testers offer a flexible, cost-efficient and reliable solution for Knoop and Vickers micro-hardness testing in accordance with ISO 6507, 9385 and 4546 or ASTM E384 and E92.